A cognitive demands analysis (CDA) is a systematic procedure used to evaluate the cognitive and mental demands of the essential and non-essential tasks of a job. 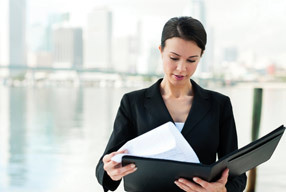 The CDA may include information about the pace of work, the level of multitasking or attention to detail required, and the amount of supervision the employee can expect. The CDA may also include information about the potential for exposure to confrontational situations, the need for travel or irregular hours, the complexity or repetitiveness of the work, and the level of reading, mathematics, or communication (oral or written) required to perform the job successfully. A Cognitive Functional Abilities Evaluation (CFAE) is a set of tests and observations used to determine the employee’s functionally based cognitive strengths and limitations. This form of evaluation is particularly useful for clients with brain injury, stroke, or chronic pain. Depending on the purpose of the evaluation, the tests provide objective measurement of the individual’s general learning ability, concentration and attention, visual perception and processing, information processing, memory, multi-tasking, executive functioning, reasoning, communication, planning, organizing, and emotional status. Similar to the processes used for the FCE, credible methods control for evaluator and participant bias, while offering high levels of reliability and consistency across evaluators and participants. This service is broad in scope and multi-disciplinary. Although Case Managers are typically engaged early in the disablement/recovery cycle, they can also be engaged post-discharge or during the commencement of rehabilitation. CDCM is vocationally oriented. 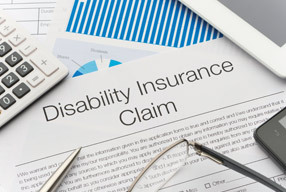 Furthermore, when Case Managers are retained by disability insurers or self-insured employers for non-occupational cases, the responsibilities of the case manager can include adjudication of claims. 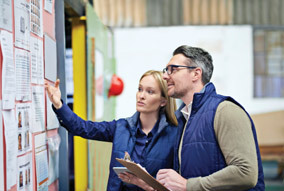 A comprehensive job demands analysis (JDA) is a systematic procedure used to evaluate the physical, cognitive, and mental demands of the essential and non-essential tasks of a job. The JDA will include all of the information contained in a physical demands analysis (PDA) and a cognitive demands analysis (CDA). This will include information about the frequency and duration of physical tasks (e.g. pushing, pulling, lifting, bending, carrying) and cognitive tasks (e.g. multi-tasking, working alone or under pressure, dealing with confrontational situations) required to perform the job tasks successfully. A critical workplace incident is a significant event or situation that falls day to day work routines. Critical workplace incidents can overwhelm the coping skills of either an individual or a group. When an accident, assault, death, traumatic harassment, or robbery occurs in the workplace, employees often react with a combination of shock, confusion, pain, sorrow and anguish. Many employees will have difficulty concentrating on the work at hand and some may experience longer term effects. Critical incident counselling is designed to help reduce the impact of the traumatic event on individuals and speed the return to workplace normalcy, while reducing the likelihood of post event effects such as Post Traumatic Stress Disorder, reduced productivity and morale, absenteeism, etc. Critical incident counselling is offered on an urgent basis. Ergonomics is the science of fitting jobs to the people who work in them.An ergonomic assessment will help to identify and minimize risk factors that are known to contribute to workplace injuries, help employers accommodate employees with disabilities, and employees to perform their jobs in a safe, healthy, and efficient manner. A Functional Capacity Evaluation (FCE) (also referred to as a Functional Abilities Evaluation or FAE) is a set of tests and observations used to determine the ability of the employee to function in a variety of circumstances, most often employment. The tests measure physical strength and tolerance for performing a range of specific activities, including walking, squatting,repetitive foot motion, kneeling, crawling, stair climbing, sitting, and standing. The assessor considers pain behaviours/reports, body mechanics, and consistency of effort throughout their observations. Credible methods control for evaluator and participant bias, while offering high levels of reliability and consistency across evaluators and participants. Communicating orally or in written form is critical to one’s ability to perform the minimum required duties of many occupations. Communication skills may be impaired by brain injury, substance abuse, or chronic medical conditions, such as Parkinson’s disease, stroke or Bell’s Palsy. 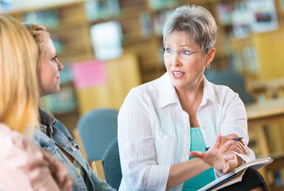 Speech-Language Pathologists (SLPs) can assist individuals recover and/or re-establish the ability to communicate effectively by providing education, strategies, and rehabilitation services. Various issues such as illness, injury, work related problems or personal stressors (e.g. relationship problems, low self esteem) may cause individuals to experience abnormal levels of psychological distress. As an adjunct to vocational counselling and rehabilitation, personal counselling can help the individual use positive coping strategies while making the transition back into the workforce or overcome challenges maintaining their employment status/level of productivity. Depending on the client’s individual needs and symptoms, personal counselling may be provided by a social worker, counselling psychology professional, nurse (with specialized training),occupational therapist (with specialized training), or a Registered Psychologist. Family counselling is provided to assist family members to resolve conflict(s) and improve communication or to assist members to cope with a crisis (e.g. grief, trauma, violence) or other issues related to family breakdown (e.g. addictions, transitions). It involves the examination of interpersonal relationships and sessions incorporate discussion and problem solving. This type of therapy may involve all members of a family or just those who are able to participate; depending on the needs of the family, some sessions may be exclusive to an individual, children or couples (i.e. different combinations of participants may be addressed separately). Family counselling is usually provided by a social worker, counselling psychology professional or Registered Psychologist. A physical demands analysis (PDA) is a systematic procedure used to evaluate and quantify the physical and environmental demands of the essential and non-essential tasks of a job. A PDA summarizes how often and for how long a particular task is performed during the work day, the amount of force required to perform certain tasks, and the amount of weight that must be manipulated to perform the tasks. A PDA will also summarize the environmental demands of the job, including noise levels, lighting, temperature, vibration, etc. Best recruiting practice for labour intensive jobs is the integration of defensible assessments of candidates’ ability to perform the essential duties of their jobs safely and productively. Employers who do not perform such assessments, or do so without reference to credible specified job demands, risk subjecting candidates and co-workers to harm, and their organization to the human, legal and financial consequences of occupational injury. Come to us for advice about how to structure your POE assessment program and to execute it for quantified improvements to your job placement performance. Return-to-work programs (RTWPs) are based on the premise that many employees can safely perform productive work during their recovery after injury or illness. RTWPs are designed to help employees resume safe and productive work activities as soon as possible, despite the presence of an illness, injury, or disability. RTWPs often prescribe a gradual resumption of previous or new employment duties and can also incorporate Transitional Work arrangements. Transitional work allows an employee with temporary restrictions to work in a modified, alternative or reduced-hours capacity for a defined period of time. A successful RTWP is often critical to an employer’s legal obligation to accommodate disabled employees after a period of absence and must be customized to the needs of the individual, while minimizing the disruption to others in the workplace. 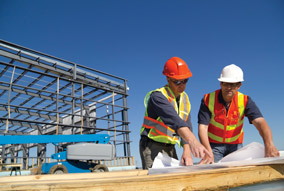 A RTWP is an actual plan or schedule for the employee’s transition to the workforce and will include the employee’s hours and days of work, specific job tasks they will perform each week, and the dates and methods by which equipment, specialized training, or other accommodations will be introduced. A RTWP may be appropriate when the employer has already conducted a Functional Abilities Evaluation (FAE) and/or Cognitive Functional Abilities Evaluation (CFAE) and can provide a detailed Job Demands Analysis (JDA). Where the FAE/CFAE and JDA have not been conducted, it may be necessary to complete them in advance of the RTWP. Early contact with an absent employee is a hallmark of best practice in disability management and return to work. The purpose of early intervention is to support employees throughout their recovery so they can return to work in a timely fashion. Support may include helping the employee access an employee assistance program, understand their benefit coverage, or obtain reliable information about their medical condition. The intervention is also an opportunity to discuss how the employer can accommodate their disability to minimize the frequency and duration of future absences. It may also be used to support the claims adjudication process and identify circumstances which may be best addressed through mediation or other internal process (e.g. allegations of harassment, discrimination). A transferable skills analysis (TSA) is used to generate vocational options for a client by utilizing their education level, employment history, abilities and limitations, and aptitudes. A TSA may be required when an individual is unable to return to their own position and when potential vocational options need to be generated. Therefore, a TSA may be part of a vocational evaluation or a broader vocational case management mandate. Following a major employment setback due to an illness, injury or substance abuse problem, and after a period of recovery, employees and employers may have difficulty understanding and navigating pathways back to work. Vocational case managers will coordinate vocational assessments, appointments, and rehabilitation services. This will be accomplished in a way that ensures a client’s current, emerging, and potential vocational needs are being met in a timely way and vocational goals are achieved. 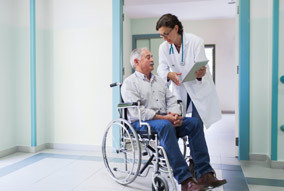 Vocational case management may be part of a Comprehensive Disability Case Management mandate. Vocational counselling often follows a vocational evaluation. Vocational counselling services are designed to help individuals attain the skills, resources and attitudes necessary to secure and retain gainful employment in today’s competitive job market. Vocational counsellors will assist clients with job search strategies, interview skills, resume and letter writing skills and job coaching, while considering the individual’s ongoing rehabilitation and accommodation needs. Vocational counsellors may also assist a client with identifying and arranging retraining and provide supervision during the retraining process. A vocational evaluation is designed to identify suitable occupations for an employee who can no longer perform the essential duties of their current occupation, with or without accommodations. The evaluation is comprehensive and systematic, and considers the individual’s interests, aptitudes, experience and functional abilities. The process of recovering from a prolonged illness or significant injury can leave an individual physically weak and de-conditioned. Work conditioning is a structured exercise program, designed to restore a client’s strength, endurance, coordination, and flexibility, with the ultimate goal of returning the employee to work. It provides a transition between acute care and return to work while addressing motivation, safety and physical tolerances. Work hardening is designed to improve an individual’s tolerance for productive work activities. Work hardening programs are progressive, graded, and designed to prepare an individual to meet the physical demands of a specific job or a range of jobs for which they are suited and qualified. Programs generally include exercises designed to improve strength and endurance and may also include a series of simulated work tasks.